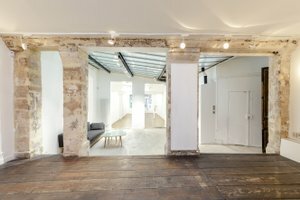 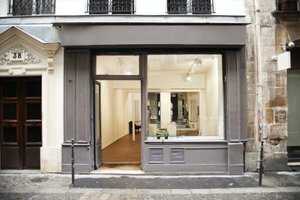 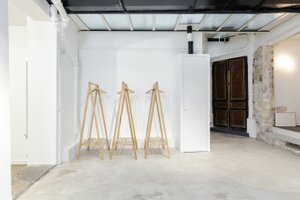 This boutique in the heart of the Beaubourg district is perfect for Pop-Up Stores, Exhibitions and Showrooms. 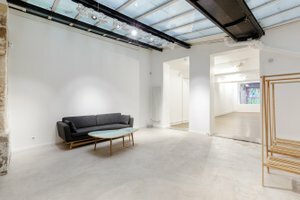 The grey storefront is smart and inviting, featuring a large double front display window which offers great visibility while filling the space with a lovely natural light. 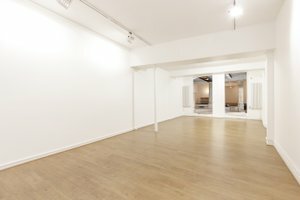 The gallery has a welcoming atmosphere with light wooden floors, white walls, and modern spot lighting. 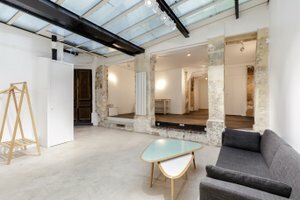 The boutique is comprised of three distinct spaces, a main room and a more unique area of pale blues and stone. 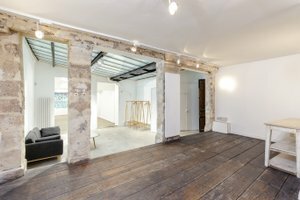 There is also a splendid arcade adorned with floor mosaics and a cozy area that harkens to Mediterranean charm. 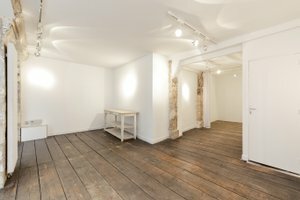 This space offers both excellent visibility and a warm and comfortable atmosphere. 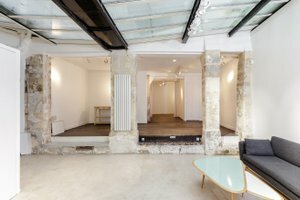 Advantageously situated in the hear of the Beaubourg district, this space benefits from a high level of passing foot traffic.